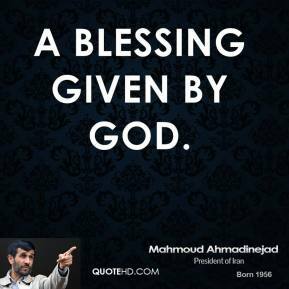 a blessing given by God. 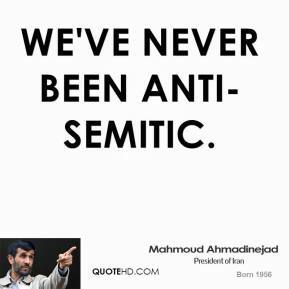 Usually, you cannot prove that sort of thing. 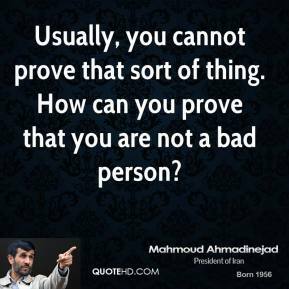 How can you prove that you are not a bad person? 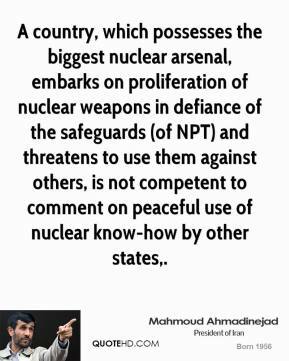 A country, which possesses the biggest nuclear arsenal, embarks on proliferation of nuclear weapons in defiance of the safeguards (of NPT) and threatens to use them against others, is not competent to comment on peaceful use of nuclear know-how by other states. 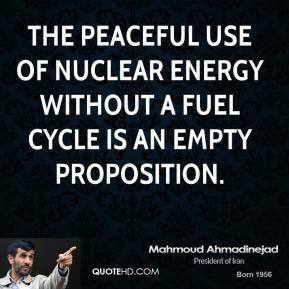 As a developing state, Iran should speedily increase its investment in different energy-related sectors. 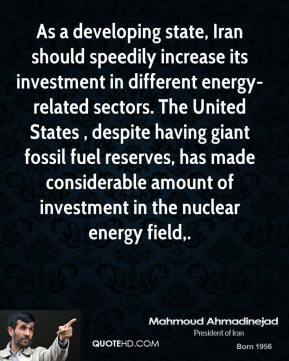 The United States , despite having giant fossil fuel reserves, has made considerable amount of investment in the nuclear energy field. 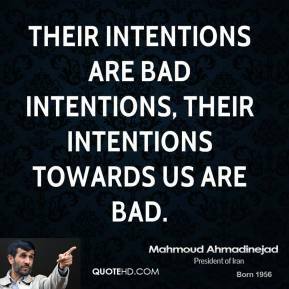 their intentions are bad intentions, their intentions towards us are bad. 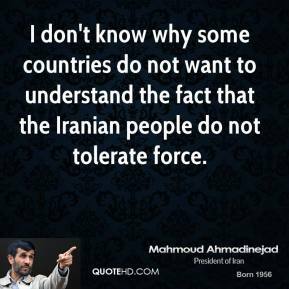 I think they're smarter than denying us this legal right. 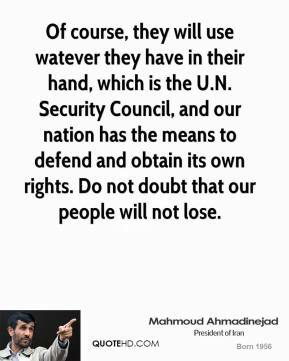 It is natural, of course, they will use whatever they have in their hand, which is the U.N. Security Council, and our nation has the means to defend and obtain its own rights. 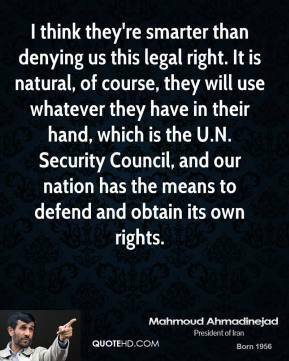 Of course, they will use watever they have in their hand, which is the U.N. Security Council, and our nation has the means to defend and obtain its own rights. 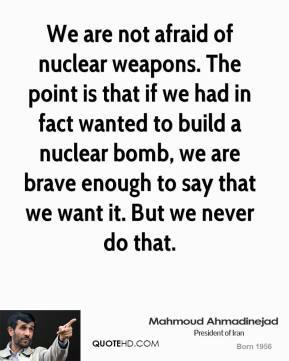 Do not doubt that our people will not lose. 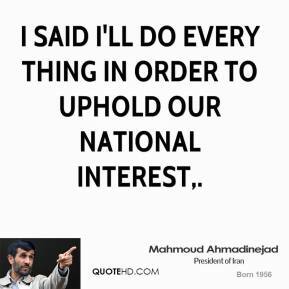 I said I'll do every thing in order to uphold our national interest. 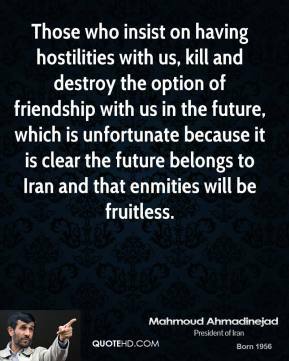 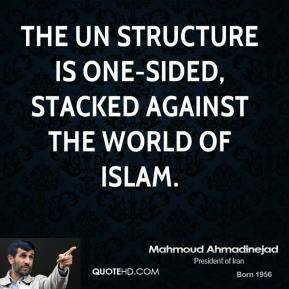 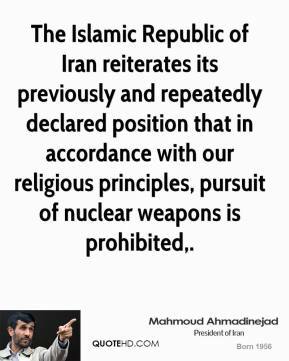 The Islamic Republic of Iran reiterates its previously and repeatedly declared position that in accordance with our religious principles, pursuit of nuclear weapons is prohibited. 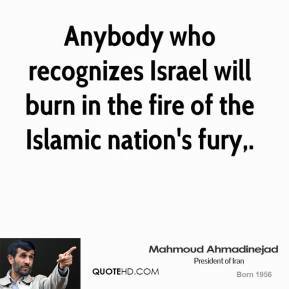 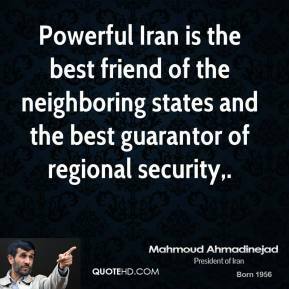 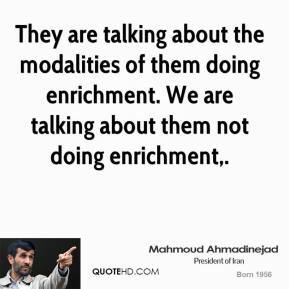 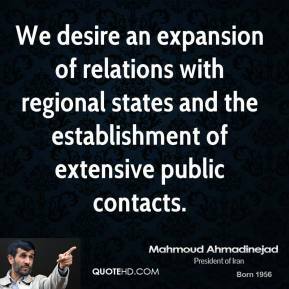 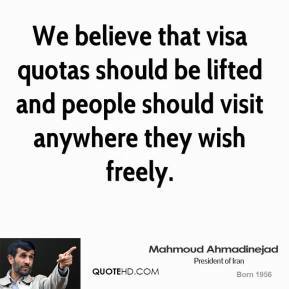 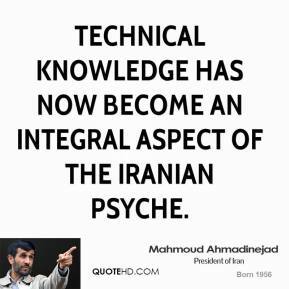 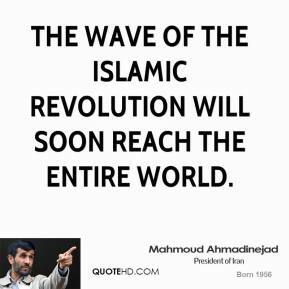 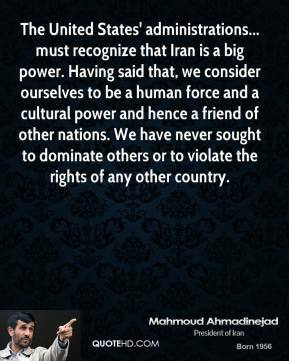 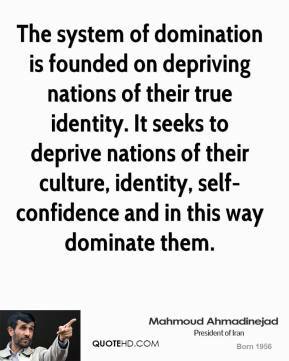 Powerful Iran is the best friend of the neighboring states and the best guarantor of regional security. 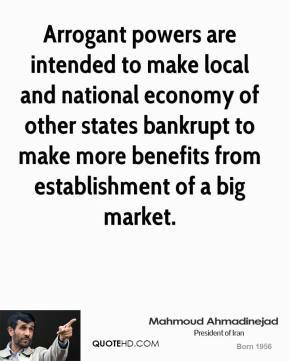 Arrogant powers are intended to make local and national economy of other states bankrupt to make more benefits from establishment of a big market.